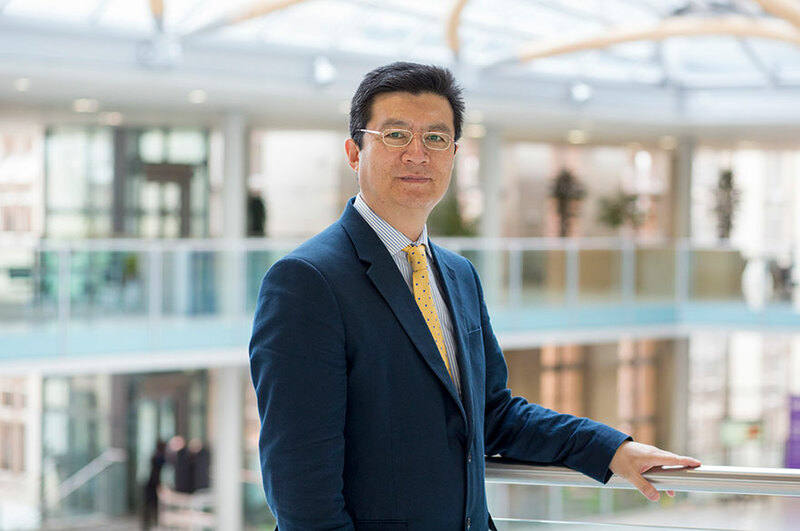 Professor Sun joined Nottingham Trent University in July 2018 as the Associate Dean for Research at the School of Architecture, Design and the Built Environment. He is responsible for leading and managing research and research related activities across the School. Professor Sun graduated from Tsinghua University, Beijing, China with a bachelor’s degree in Architecture in 1985; and completed his PhD on integrated building design systems at Newcastle University in 1993. He then worked as a Research Associate at Newcastle and was appointed as Lecturer of Architecture (Computing) in 1994. He moved to University of Salford in 1996 as a Lecturer of Construction IT and was subsequently promoted to Senior Lecturer. His main research at Salford was on integrated IT systems for building design support, construction management and facilities management. In 2002, He was appointed as Professor of Construction Informatics at the University of the West of England and became the Director of Construction and Property Research Centre in 2005. He led the Constructing Excellence South West initiative (2004-2012). During this period, his research interests expanded into areas of construction project management and sustainable construction. Between 2012 and 2018, He worked at the School of Energy, Geosciences, Infrastructure and Society, Heriot-Watt University as Professor of Construction Management and Innovation. He was the Director of Institute of Building and Urban Design during 2002-2004, and Senior Director of Studies of Construction Project Management and Quantity Surveying during 2016-2018. Construction IT: integrated building design support system; online information system to support minor maintenance works; measuring the benefits of an online contract change management system; digitised workflow model for historic building repair and maintenance projects; ontology-based data integration framework for decommissioning projects in oil and gas sector. Construction Project Management: project change management; project control practice in the UK; risk management for highway projects; complexity measurement for megaprojects; risk-based construction procurement evaluation; value for money optimisation in PFI projects. Sustainable Construction: development of a design tool for sustainable homes; knowledge and attitudes of small builders toward sustainable homes; building occupant energy behaviour; retrofitting and adaptation of existing homes. Professor Sun has received over £3m funding from EPSRC, ESRC, UK TSB, HEFCE, RDA of South West England, and private companies; and worked with over 30 academic and industry partners.